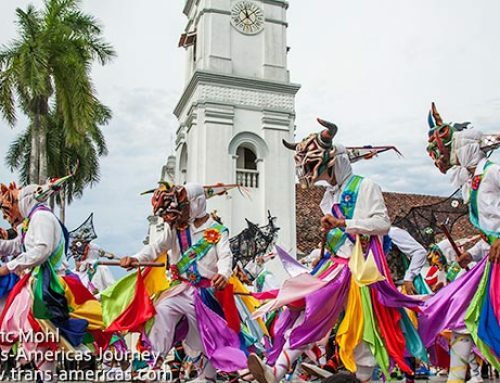 Christopher Columbus arrived in Bocas del Toro, Panama in 1502. 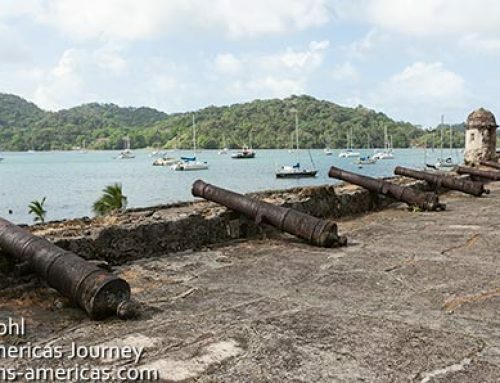 In the 17th century pirates used the sheltered bays in the area to repair their ships. Rumors of buried treasure persist. British author Graham Greene finally got to Bocas in the early ’80s on his third attempt to reach the area. 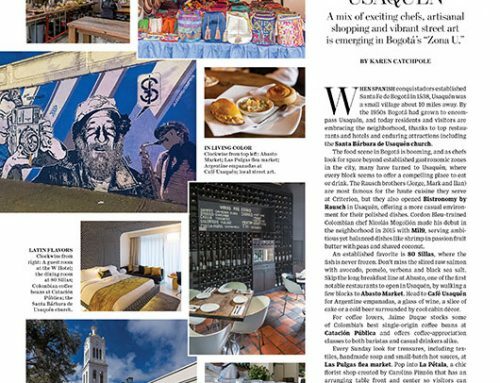 These days the conquistadors, pirates, and old-school adventure travel writers are long gone, replaced by a growing number of expats and tourists. 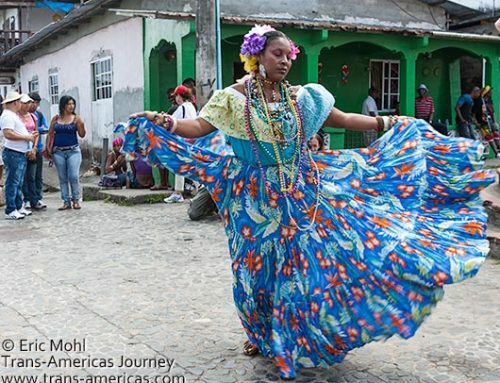 Here’s part 2 of our 2 part Bocas del Toro Travel Guide. 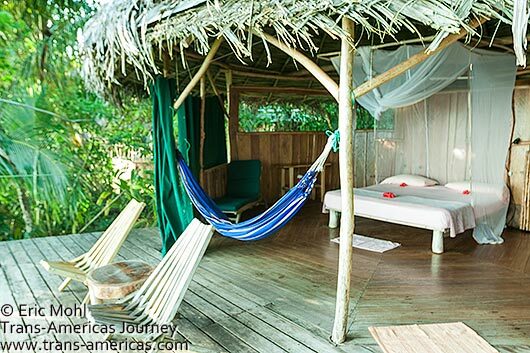 This one is focused on where to sleep in Bocas del Toro on any travel budget. 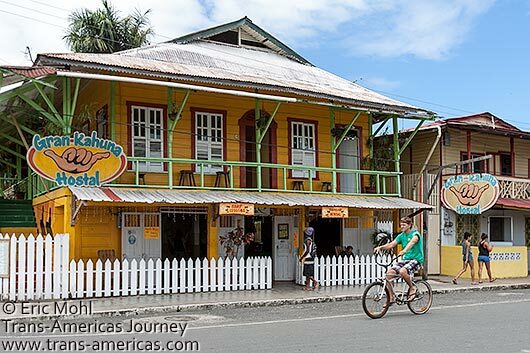 Check out part 1 to learn about what to do and what to eat in Bocas del Toro. 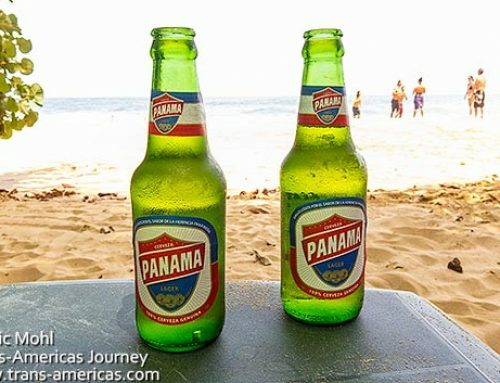 This is why you want to travel to the Bocas de Toro Archipelago in Panama. Generally speaking, when people say Bocas del Toro (Mouth of the Bull) they’re referring to the whole Bocas del Toro Archipelago of nine islands. 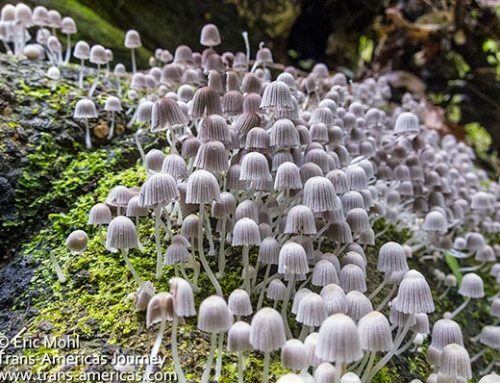 But it gets confusing since the main town in the archipelago, located on Isla Colon, is called Bocas Town. This is where you will get off the ferry from Almirante on the mainland (30 minutes, US$5 per person in an open sided motor boat) or off your flight from San José, Costa Rica or Panama City, Panama. Bocas Town wouldn’t exist if not for the United Fruit Company (now known as Chiquita Brands) which created the town as part of its now-defunct banana operations in the area. Today, Bocas Town still has more bicycles than cars, though a vehicle ferry makes the run between Isla Colon and the mainland daily. Bocas Town on Isla Colon has many hostels like this one. The number of buildings in Bocas Town has increased, but they’re still mostly small, wooden structures (there’s a five story maximum) simply built and brightly painted in true Caribbean style. Electricity is supplied from massive, and massively unreliable, diesel generators. Bocas Town has the charm and pace that beach towns in Belize wish they had and a smaller price tag to boot. 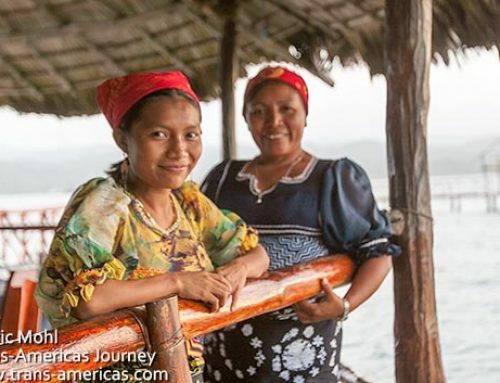 It’s like a Central American version of Key West from 50 years ago and it makes the perfect base for exploring the Bocas del Toro Archipelago. We spent two weeks exploring Bocas del Toro which gave us plenty of time to try lots of different accommodation options including a hostel and a boutique hotel on Isla Colon (Bocas Town), over the water bungalows in the middle of the Caribbean, and a real stunner on Isla Bastimento. 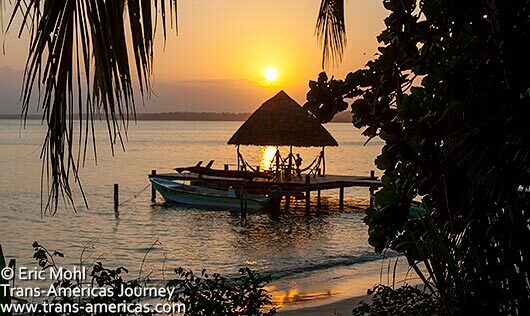 Tropical sunset, Bocas del Toro style. Beach boutique: Take the best of a small waterfront apartment and add in attentive hotel staff and you’ve got Tropical Suites. The hotel was built in 2005 and renovated in 2010 by new owners Jamie and Chip, a couple from the southern US. 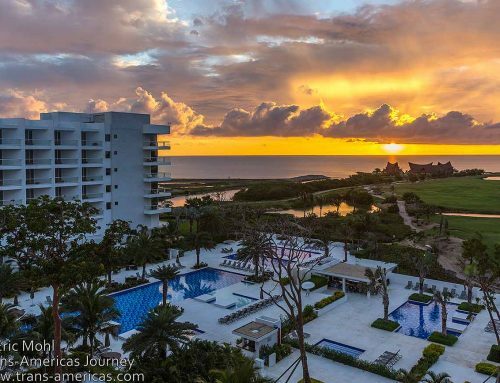 They’ve crafted the perfect balance of laid back island style with spot-on North American service and southern hospitality. All of the 16 suites (six have ocean views) at this waterfront hotel right on main street just a few blocks from the ferry docks are sunny, large and have air conditioning, furnished patios and fully equipped kitchens. 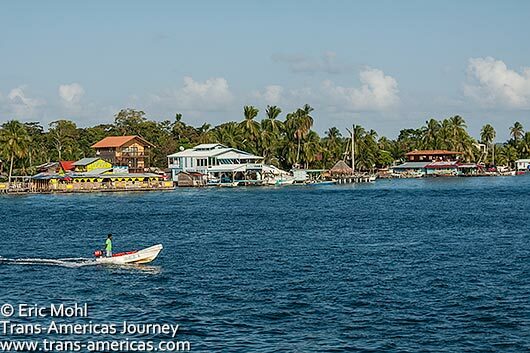 Bocas Town, on Isla Colon in the Bocas del Toro Archipelago. 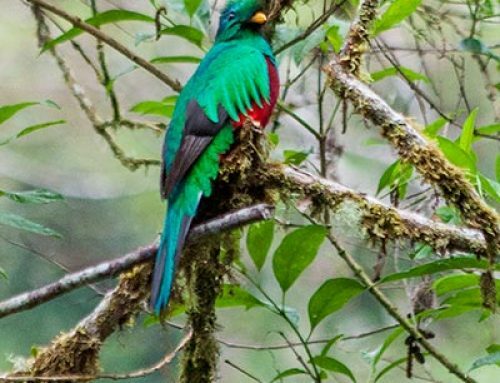 Bocas on a budget: If you’re on a tighter travel budget don’t worry. Bocas Town is full of hostels, but if you’re not interested in a party atmosphere head to Hostal Hansi (big thanks to our friends at Globetrotter Girls for tipping us off about this place). Located just off Main Street, Hostal Hansi has a wide range of different room types from singles with shared bath (from US$11) to private doubles (from US$25). Wi-Fi and use of a spotless kitchen is included. It’s a quiet and clean (there is a resident cat) and it’s extremely popular. Hansi does not take reservations so get there as early as you can to see about available rooms. 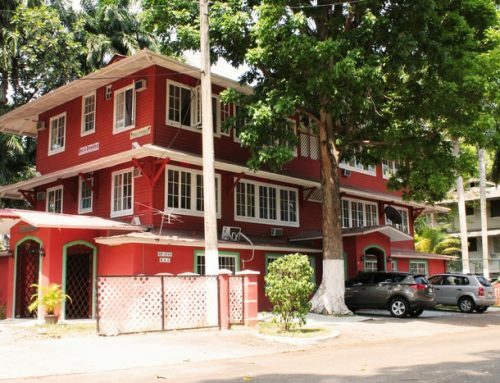 When we were in Bocas an absolutely enormous building was going up next door to the Hansi and the rumor was that was going to be a 100 bed hostal. That sounds like hell on earth to us, but fyi. 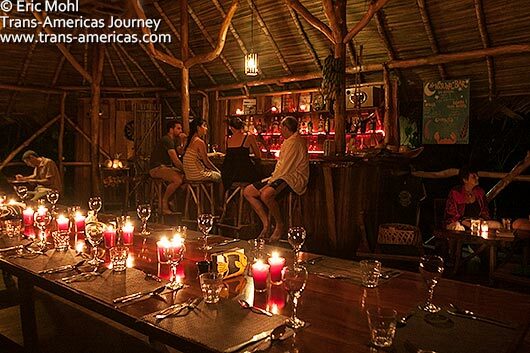 Eco immersion: The place is called Al Natural Resort and it really is one of the most stunning places we’ve stayed at on our Trans-Americas Journey. For starters, stand-alone stilted bunglaows, built using techniques and materials the indigenous Ngöbe-Buglé people have used for decades, are mostly open air with very, very few walls. Heavy canvas curtains can be pulled shut it you want. 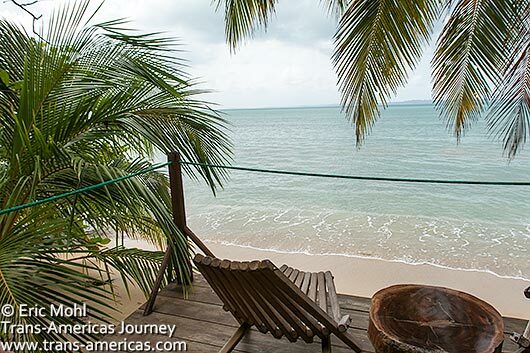 Our virtually wall-free bungalow at Al Natural in Bocas del Toro, Panama. Each wood, bamboo and thatch bungalow was built by local Ngöbe-Buglé workers, many of whom had forgotten the traditional techniques until they were asked to resurrect them to build Al Natural. Bathrooms were covered in tiles in designs inspired by Ngöbe-Buglé weaving patterns. 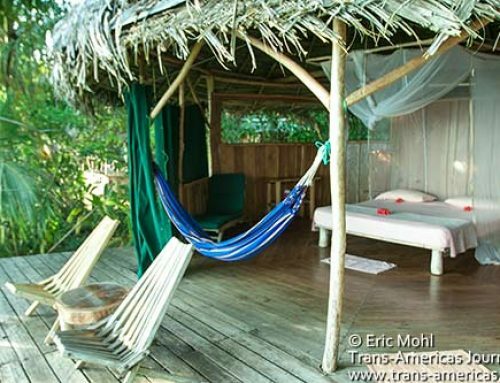 Bungalows were intentionally placed near the high tide line, giving the feeling of being in the calm Chiriqui Bay when you’re really just lazing around in your hammock. Again. Great mattresses, custom-made super-bug-proof nets and cooling fans inside the nets plus the sound of the Caribbean ensure restful nights. Bungalows at Al Natural are built at the high-tide line giving you the feeling of begin in the peaceful bay right from your room. Al Natural’s owner, Michel, a reformed NYC lawyer from Belgium, calls his bungalows “natural houses” and they range from single rooms with a small bathroom to a three bedroom house. He says he created Al Natural to be “the place I always hoped I’d find in my travels but never did.” He explored Madagascar, Costa Rica and other countries looking for the right location for his vision before he returned to Bocas del Toro (a place he’d visited nearly 20 years earlier) and was shown beach front property on the southern tip of Bastimentos Island. 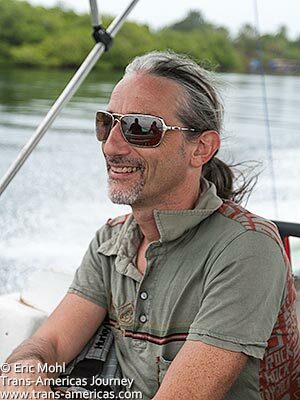 Owner Michel during the commute to his remarkable Al Natural eco bungalow hideaway in Bocas del Toro, Panama. Michel bought the land directly from the local owners who still live on an adjoining piece of property. Don’t miss the chance to take a short jungle walk with Michel to visit Niato,and his family. 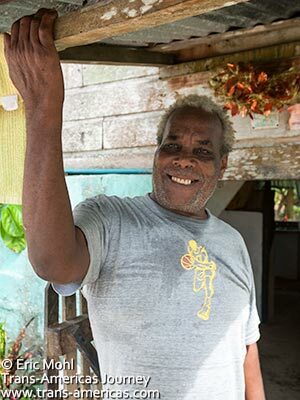 When we visited Niato he told us how a friend had just drowned while free diving for lobster. Niato was convinced that his friend’s death had been foretold in a dream and that an evil mermaid had lured him deeper with visions of giant lobsters. He said many local men see mermaids all the time but the secret is not to pursue them. Good advice. Niato told us local men see mermaids all the time. The secret, he said, is not to follow them deeper to a watery grave. Despite the semi-remote location (it’s a 30 minute boat ride to Al Natural from Bocas Town), the food at Al Natural rivals anything in the region. Every single thing we ate was delicious from fresh juices to buttery soft grilled octopus to fragrant chicken cooked with mushrooms and orange peel. Even better, all meals, which are included in room rates including wine at dinner, are served family style with Michel at the head of the table telling stories and making friends. Pre-dinner drinks at Al Natural. 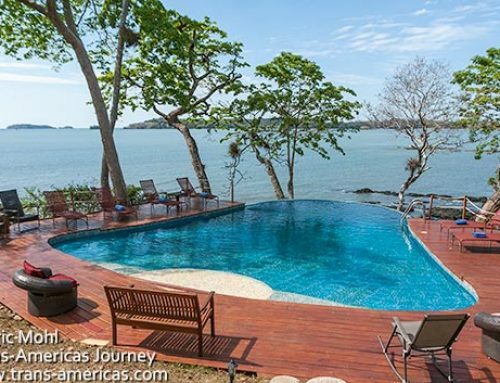 Over-rated over-the-water: To say we were excited to be staying at Punta Caracol Acqua Lodge would be an understatement. 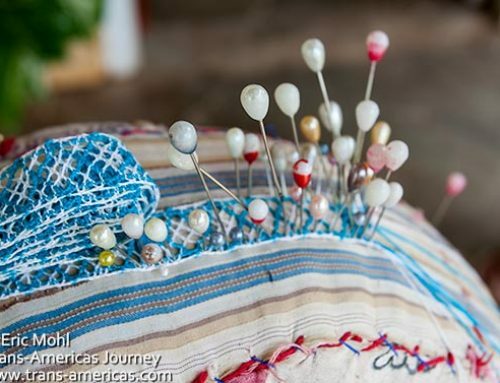 This long-standing place is basically the poster child for over-the-water bungalows and classic Caribbean island accommodation in Panama and photos of the place are used in many tourism promotional materials. Pulling up to Punta Caracol Acqua Lodge, after a 10 minute boat ride from a private dock on Isla Colon, was dramatic.The whole thing is built over the water a short distance from a mangrove-covered shoreline. We disembarked and got settled into our over-the-water bungalow, one of nine at the lodge. 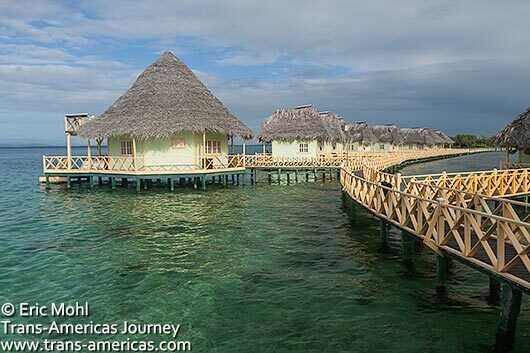 The over-water bungalows at Punta Caracol just might be the most photographed hotel rooms in Panama. All are two-story affairs built out of wood with thatch roofs and powered by the sun. They’re romantic in a rustic, castaway kind of way. Conch shells are used instead of door handles. 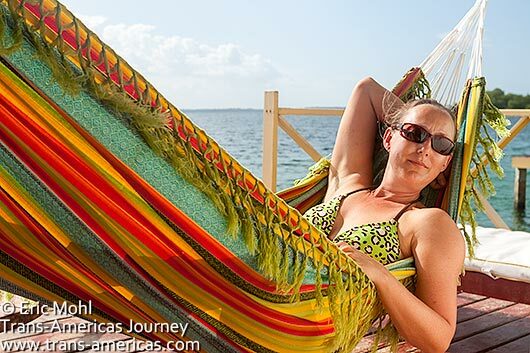 Your back deck has loungers, hammocks, and a ladder directly into the clear Caribbean below you. It’s certainly not basic, but the only truly luxurious thing is privacy, views, and lack of Wi-Fi and TV. Snorkel gear (including fins) is provided and you can jump in for a snorkel right off your deck. We saw parrot fish, pipefish, starfish and even some coral without ever venturing too far away from the lodge and that was pretty awesome as was kayaking through nearby mangroves. 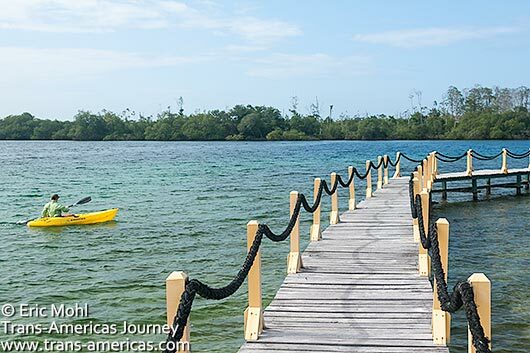 Kayaking through nearby mangroves and snorkeling right off your back deck are just some of the activities at Punta Caracol in Bocas del Toro, Panama. However, our food at Punta Caracol was mediocre at best and some dishes, like rubber-tough squid, were downright terrible. The service was even worse. Staff members spent more time on their phones than doing anything constructive or helpful. Morning coffee was repeatedly delivered to the bungalow without the benefit of cups. 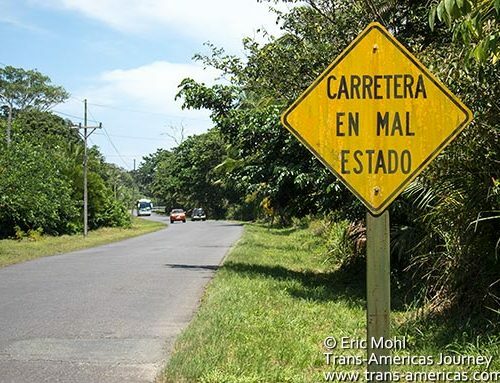 To be fair, Punta Caracol was for sale when we were there and that sort of limbo invariably creates an environment where employees feel like they don’t have to be on top of their game. However, that’s an excuse not a justification and with rates starting from US$330 (including breakfast and dinner but not lunch for some reason) let’s hope this place finds the owner and management that it and its guests deserve. Karen testing out the hammock on the back deck of our bungalow at Punta Caracol. There’s a Chinese temple on the water near the fire station with Chinese characters in red across the front. It’s never been used, but it will never be sold or torn down either. It’s been sealed and sacred since the Buddha inside somehow remained upright through a strong earthquake in 1991. There’s an old man who collects tin cans. When he has more than he can carry he lines them up in the middle of main street and crushes each one with a cinder block. Whenever we head to a beautiful island location (which is embarrassingly frequently) we get ready for the sticker shock. After all, the logic goes, everything has to be shipped or flown in and the customers are a bunch of geographically captive holiday makers so who cares if we double the price of beer/Band-aids/beds. 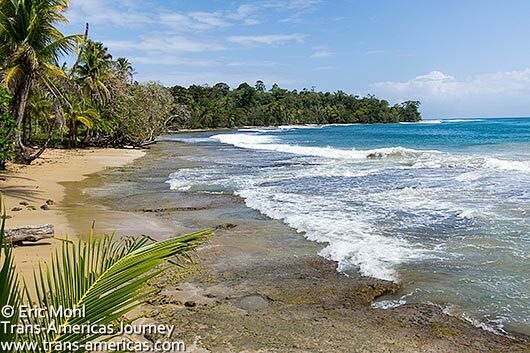 Imagine our delight when we realized that prices for most things in the Bocas del Toro archipelago are only marginally higher than they are on the mainland. We don’t know why and we don’t care.